Tree and Cloud are not only shelves but also a beautiful wall decoration. Based on Throunn Arnadottir designer, from Iceland. 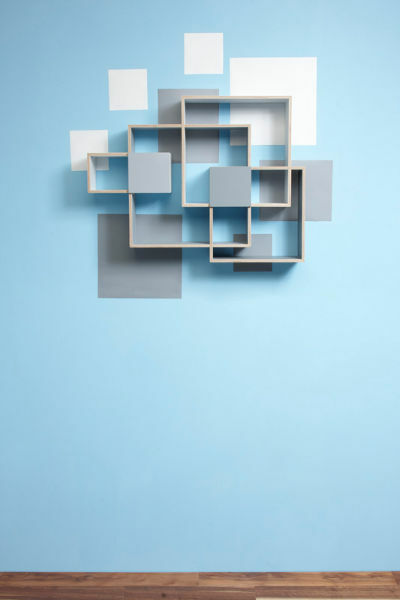 Tree and Cloud are inspired by the geometrical paintings of Mondrian, where simplicity in contstruction and an interesting composition of squares are at the forefront. 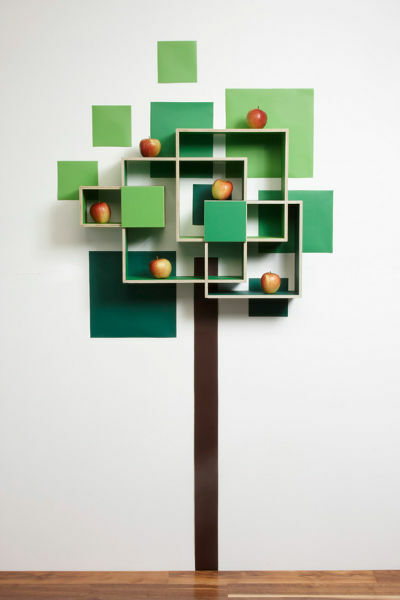 “Tree” was also cheekily inspired by the fact that Mondrian hated green colour. Green, he thought, was too obvious connection to nature, which he sought to avoid by using only “pure colours and forms”. And I found that Mondrian’s theory made sense. 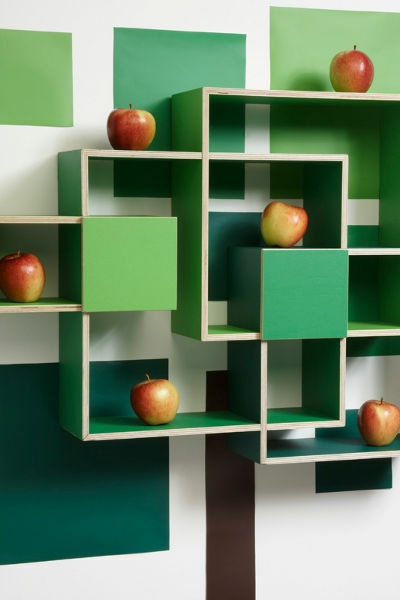 After applying green tones to the geometrical shelf, it instantly turned into a crown of a tree!